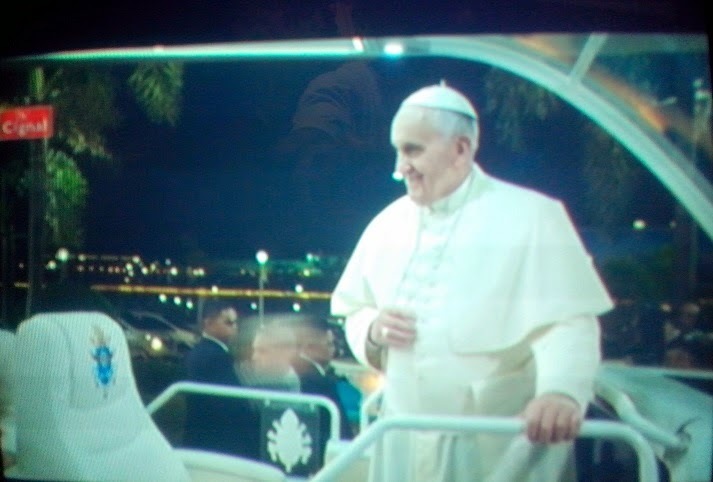 Day 1 January 15: Pope Francis is now here in the Philippines. His Holiness arrived in Manila, Philippines at 5:45PM. 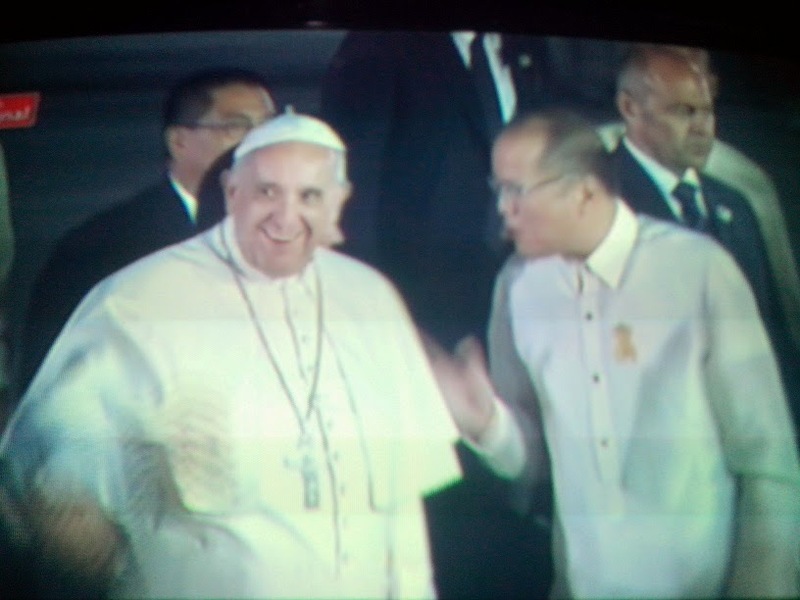 Millions of Filipinos gave Pope Francis a very warm welcome. 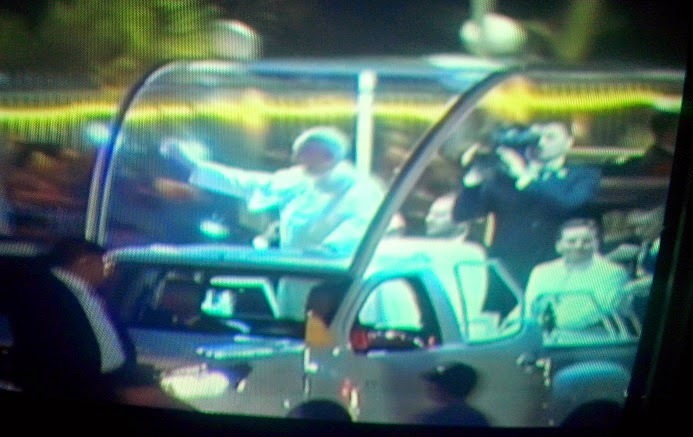 Here are the first photos during arrival and his motorcade going to official residence in Apostolic Nunciature.